Long positions above 1200.00 with targets at 1208.25 & 1212.50 in extension. Below 1200.00 look for further downside with 1196.00 & 1192.50 as targets. 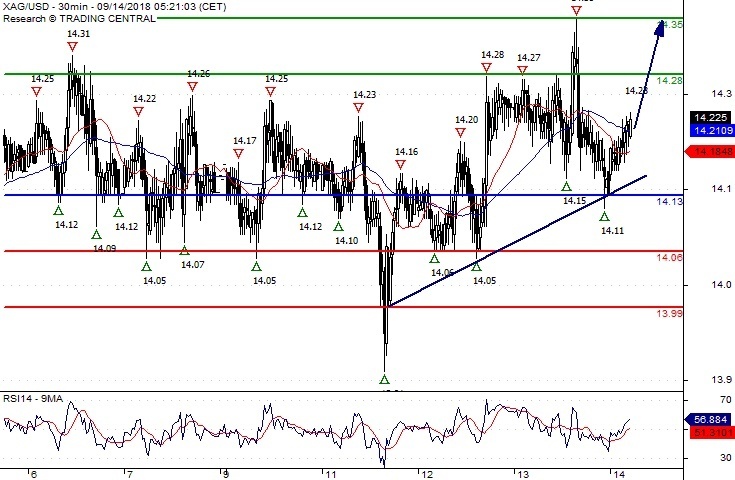 The RSI advocates for further upside. The prices are trading above both the 20-period and 50-period moving averages while striking against the upper boundary of Bollinger band. 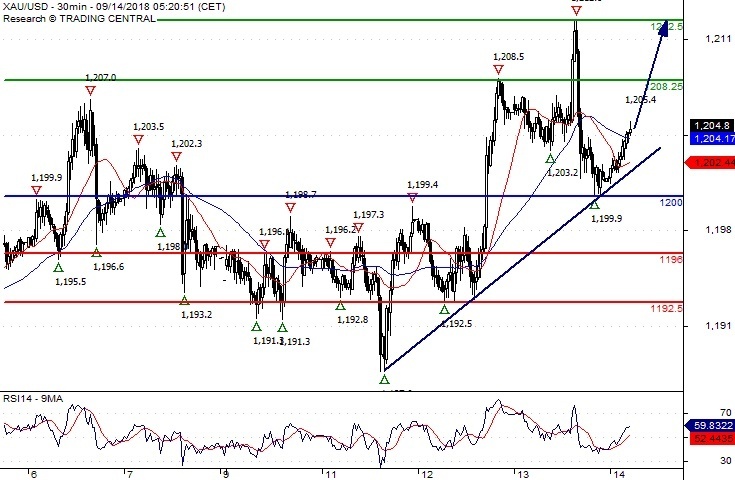 Long positions above 14.1300 with targets at 14.2800 & 14.3500 in extension. Below 14.1300 look for further downside with 14.0600 & 13.9900 as targets. The RSI shows upside momentum. The prices are striking against the upper boundary of Bollinger band. Short positions below 69.30 with targets at 68.35 & 68.00 in extension. 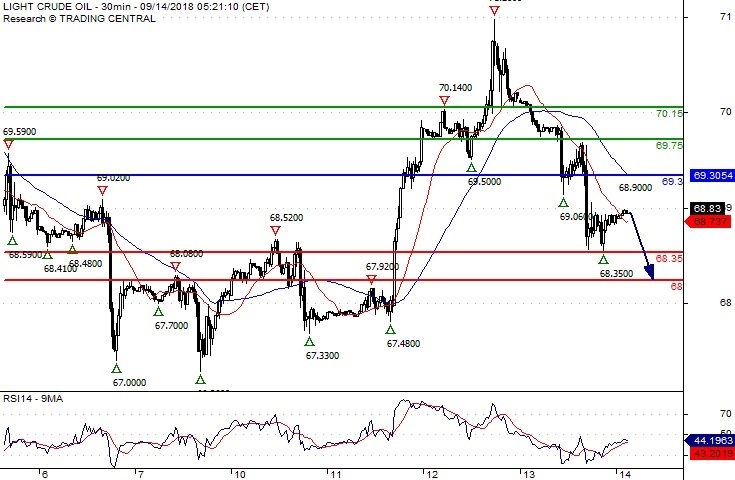 Above 69.30 look for further upside with 69.75 & 70.15 as targets.